Padmanabh Shrivarma Jaini is an Indian born scholar of Jainism and Buddhism, currently living in Berkeley, California, United States. He is from a Digambar Jain family; however he is equally familiar with both the Digambara and Svetambara forms of Jainism. He has taught at the Banaras Hindu University, the School of Oriental and African Studies (SOAS), the University of Michigan at Ann Arbor and at the University of California at Berkeley, from which he retired in 1994. Professor Jaini is the author of several books and papers. His best known work is The Jaina Path of Purification (1979). Some of his major articles have been published under these titles: The Collected Papers on Jaina Studies (2000) and Collected Papers on Buddhist Studies (2001). Jaini was born to a Jain family residing in Nellikar, a small town near Moodabidri, Karnataka, India. His father had abandoned his title of Shetty and adopted the name of Jaini—after the famous Jain scholar, Jugmandar Lal Jaini (1881-1927)—responding to calls within the community to change their names to foster a greater sense of Jain identity. After completing his elementary education, he was sent to Digambara Jain Gurukul, a boarding school in Vidharbha, Maharashtra. It was run on traditional Jain principles and here he came in contact with Jain scholars of his time like – Pandit Nathuram Premi, Dr. Hiralal Jain, Dr. A.N. Upadhye. After completing his secondary education here, he went to Arts College at Nashik where he took the degree of BA hons in 1947 in Sanskrit and Prakrit. During this time he supported himself by taking a job as a superintendent of a Jain Svetambara Hostel and thus coming in contact with the Svetambara community for the first time. After graduation, he was invited to study with Pandit Sukhlal Sanghavi, a renowned scholar belonging to the Sthanakvasi Jain tradition. 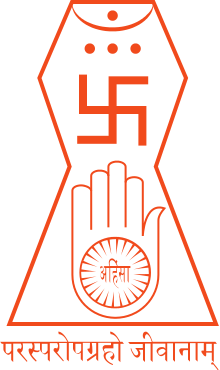 His daily meeting with Sanghavi, involved not only a formal and rigorous instruction in Jain logic, but he was also exposed to Sanghavi’s views on various sectarian debates and controversies. With Sukhlalji's encouragement he studied Pali canon and decided to continue his postgraduate studies in Sri Lanka, thus acquiring a thorough knowledge of Pali Canon and Buddhist scriptures. Here he became a Dharmananda Kosambi memorial Scholar and met Dr. B. R. Ambedkar (before his conversion to Buddhism) and was awarded Tripatakacarya degree in 1951 at the residence of the Prime Minister Senanayake. His years in Sri Lanka were the basis for his first publication in Gujarati, “Ceylonman Be Varsa” (Two years in Ceylon). It contains much information on the Theravada Buddhism philosophy and practices. On returning he took up position as a lecturer in Ahmedabad and in 1952 he took up position as a lecturer in Pali in Benaras university. Subsequently he took up position as a lecturer in Pali and Sanskrit with SOAS, London from 1956 to 1957. There under John Borough’s supervision he completed his Ph.D. in Buddhist work, Abhidharmadipa. From there he travelled to Burma, Indonesia, Cambodia and Thailand to collect various Buddhist manuscripts which he later edited and translated for Pali Text Society. Subsequently he moved to University of Michigan as professor of Indic Languages and Literature up to 1972. .Thereafter from 1972 to 1994 he served as a professor of Buddhist studies in Department of South and Southeast Asian studies, University of Berkeley, California. After his retirement, he has continued as Professor Emeritus of the University. The University has constituted “Padmanabh S. Jaini Graduate Student Award in Buddhist Studies” that supports high-achieving graduate students in Buddhist Studies at UC Berkeley and honors Professor Jaini's important legacy in the field of Buddhist studies. Jaini, Padmanabh (1991). Gender and Salvation: Jaina Debates on the Spiritual Liberation of Women. Berkeley: University of California Press. Jaini, Padmanabh (2001). Collected Papers on Buddhist Studies. New Delhi: Motilal Banarsidass Publ. ISBN 81-208-1776-1. Padmanabh Jaini & Mark Tully (2009). Christianity and Jainism : An Interfaith Dialogue. Mumbai: Hindi Granth Karyalay. ISBN 978-81-88769-42-1. His other works include "Abhidharma Buddhism to 150 A.D." published under Encyclopedia of Indian Philosophies series. ↑ "Ph.D. candidate Nancy Lin receives first Padmanabh S. Jaini Graduate Student Award in Buddhist Studies". Buddhist Studies at UC Berkeley. April 2, 2009. Retrieved 2009-12-18.